Junkyard Groove | OK Listen! Junkyard Groove was formed in the year 2005 and has become a mainstay in the Indian independent music scene. The band has featured several brilliant musicians through its decade long presence among the top 10 indie bands in the country. JYG have 2 albums and 2 E.P's to our credit, have won awards and garnered a loyal base of fans and followers. The band has played at some of the biggest festivals and has had the honour of opening for bands like Iron Median, Megadeath, Prodigy, Machine Head, Mr. Big and more. 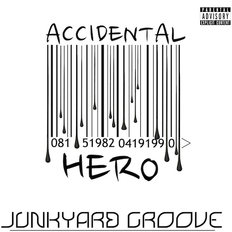 Junkyard Groove is best known for its unique music styling laced with catchy hooks and a live wire performance with none to match. 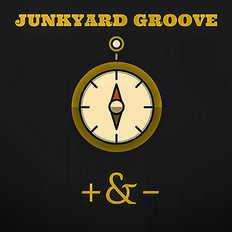 A Google search of Junkyard Groove would provide a much more detailed description of the band and its milestones. The band is riding high with several tours and gigs spanning the country with regard to our most recent release. A new EP ' + & - ', released in September 2016.The album contains three songs that are already a success with JYG regulars, owing to our several promotional performances. The official music video of the track 'Losing You' was also premiered. The videos of the two other songs in the album will be out soon too.